*Iron Bloom (Legend of the Iron Flower Book 1) by Billy Wong. Price: Free. Genre: Fantasy of the Day, Sponsor, Adventure. Rated: 4 stars on 80 Reviews. 264 pages. ASIN: B00AWKEKP4. If you like Xena, you’ll love this book. **The Sword Brothers (Crusader Chronicles Book 1) (Deal, Not Free) by Peter Darman. Price: $0.99. Genre: Historical Fiction Deal of the Day, Sponsor, War, Military, Adventure, 13th Century, Baltic. Rated: 4 stars on 102 Reviews. 729 pages. ASIN: B00FI3YIAW. *Black & White (Deal, Not Free) by Erol Rashit. Price: $0.99. Genre: Adventure Deal of the Day, Sponsor, Modern Western. Rated: 5 stars on 1 Reviews. 220 pages. ASIN: B0076LKJAW. *Jasmine Passion (The Historical Romance Collection Book 4) by Fancy DeWitt. Price: Free. Genre: Romance of the Day, Sponsor, Women’s Adventure. Rated: 4.5 stars on 4 Reviews. 236 pages. ASIN: B01FRAYE6S. *Is The Mail Here Yet? by Jerry D. Young. Price: Free. Genre: Action & Adventure, Post-Apocalyptic. Rated: 4.8 stars on 11 Reviews. 124 pages. ASIN: B00WPYMF98. *The Curse (The Windore Series Book 2) by Valya Boutenko. Price: Free. Genre: Adventure, Sponsor, Action & Adventure. Rated: 4.5 stars on 2 Reviews. 179 pages. ASIN: B01MY6J88P. ***Deadman’s Lament (The Deadman Book 1) (Deal, Not Free) by Linell Jeppsen. Price: $0.99. Genre: Classic Western Book Deal, Sponsor, Adventure. Rated: 4.3 stars on 189 Reviews. 375 pages. ASIN: B00HGJVCXC. *TIER Unit 3-1, Day One: Attacked by Lincoln James. Price: Free. Genre: Adventure, Sponsor, Conspiracy. Rated: 4.5 stars on 2 Reviews. 179 pages. ASIN: B01MDMMK5J. ISBN: 1520113757. *The Curse (The Windore Series Book 2) by Valya Boutenko. Price: Free. Genre: YA Epic Fantasy of the Day, Sponsor, Action & Adventure. Rated: 4.5 stars on 2 Reviews. 179 pages. ASIN: B01MY6J88P. *TIER Unit 3-1, Day One: Attacked by Lincoln James. Price: Free. Genre: Adventure Book of the Day, Sponsor, Conspiracy Thriller. Rated: 4.5 stars on 2 Reviews. 179 pages. ASIN: B01MDMMK5J. ISBN: 1520113757. ***Deadman’s Lament (The Deadman Book 1) (Deal, Not Free) by Linell Jeppsen. Price: $0.99. Genre: Classic Western Book Deal of the Day, Sponsor, Adventure. Rated: 4.3 stars on 189 Reviews. 375 pages. ASIN: B00HGJVCXC. *Girl from the Stars Book 1- Daybreak (Deal, Not Free) by Cheree Alsop. Price: $0.99. 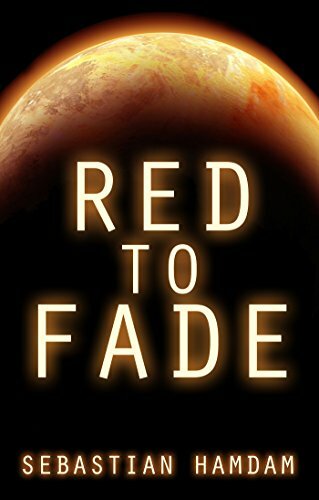 Genre: SciFi Adventure Deal, Sponsor, Space Opera. Rated: 4 stars on 23 Reviews. 220 pages. ASIN: B014TE4IBY. Calhoun’s Bounty by I. J. Parnham. Price: Free. Genre: Men’s Adventure, Westerns, Classic. Rated: 4 stars on 10 Reviews. 236 pages. ASIN: B00H6EF9MM.